There comes a time in every kids life when they graduate from a crib to a—door? Here's how to make your own whimsical kid's bed. 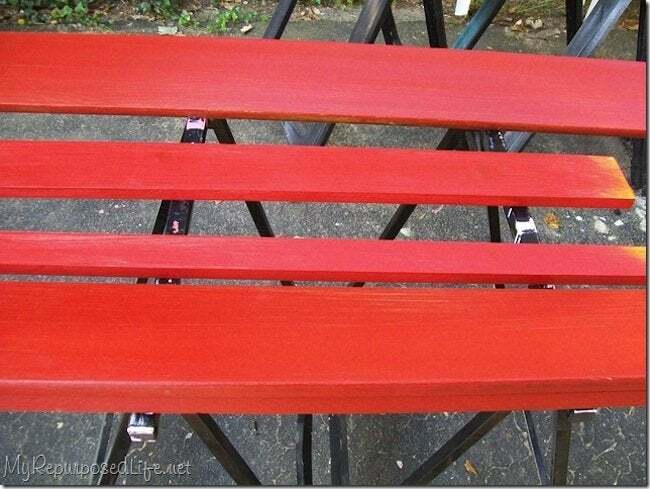 Gail from My Repurposed Life is no stranger to fantastic repurposing projects. But don’t let her skills intimidate you: This is one furniture project you can recreate all by yourself. 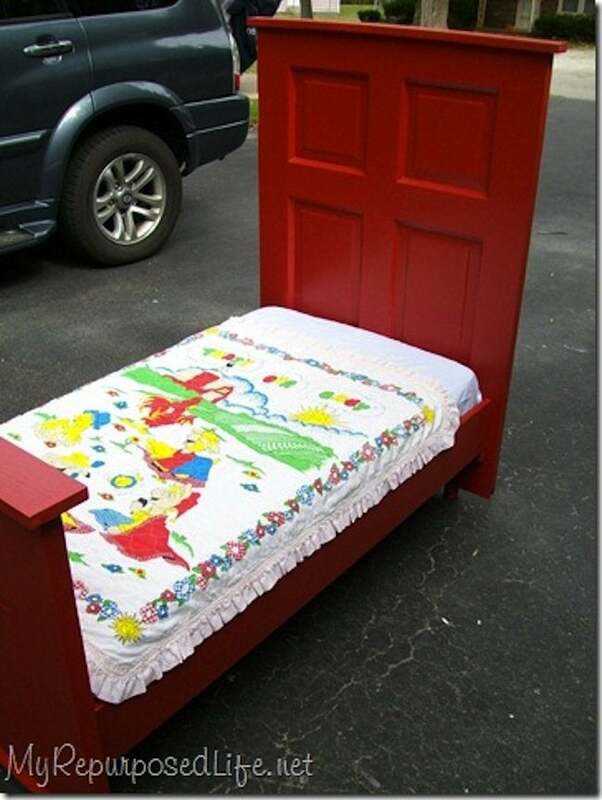 So, if you can find an old door and a crib spindle, follow this step-by-step guide to bring this funky bed to life. 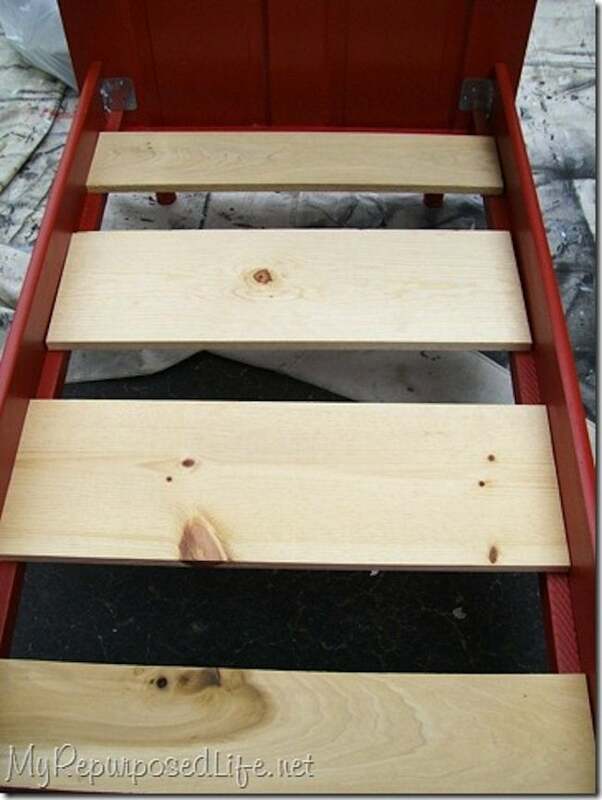 When I started created my toddler bed, I had already applied primer and paint to one side. The other side only had primer. I needed to cut the door into two sections. 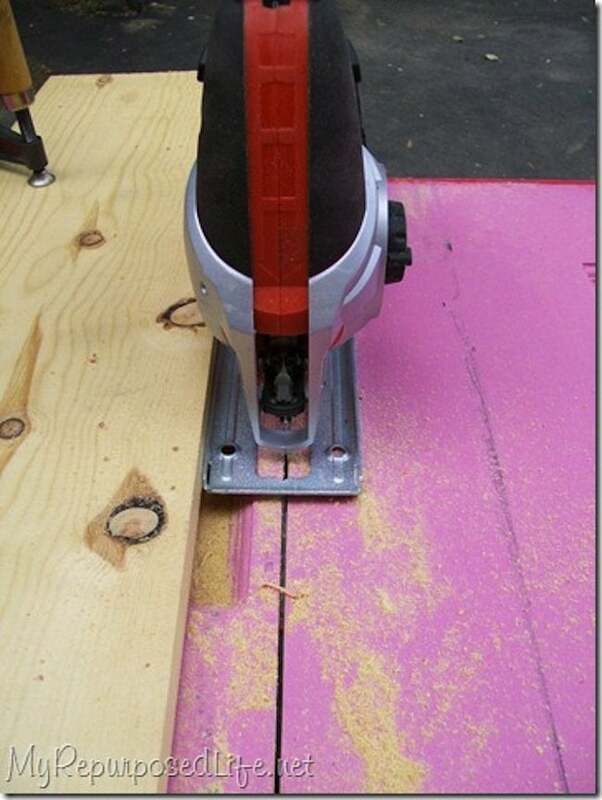 Generally I would do this type of task on my table saw but I was unable to do that with this door due to it’s size and weight. I didn’t want the door to set directly on the floor, so I had to figure out what I could use for feet. I chose one of my spare crib spindles. I used the parts in between the holes. 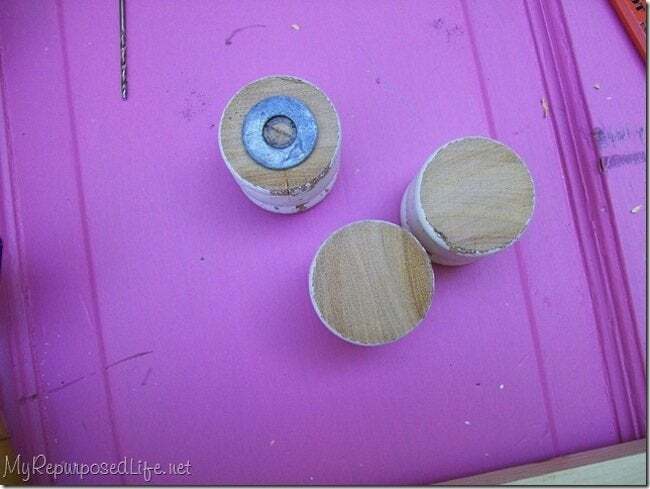 After I got them cut, I needed to drill a hole so that I could screw them onto the bottom of the door. I use a washer to help find the center of a circle. I clamped the foot to drill the hole. I also used Gorilla Wood Glue on the feet. 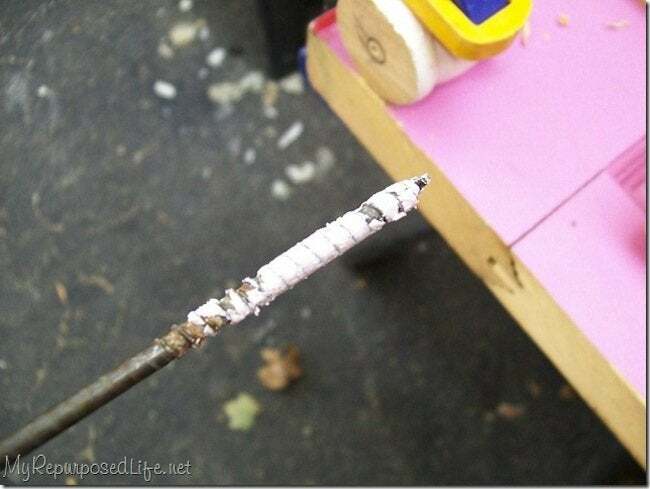 TIP: Coating your screw with soap will help the screw go into the hard wood faster and smoother. I used regular side rails I had in my stash. I cut them down to fit a crib mattress. To help give the side rails extra strength, I made a cleat for both the headboard and the foot board. 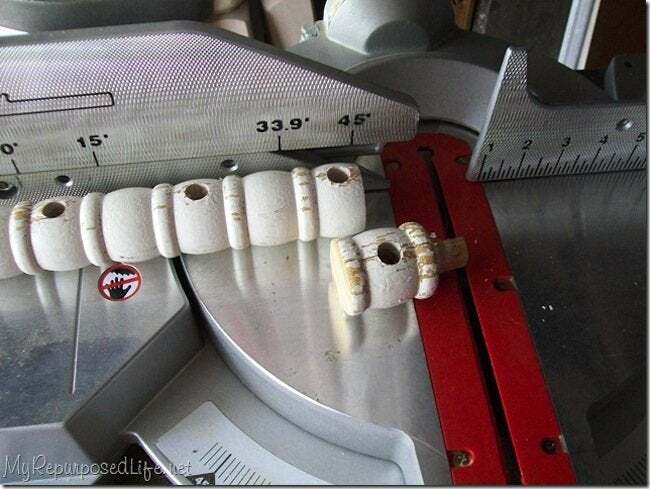 I glued them with Gorilla Wood Glue and then I screwed them into place. Then I painted the side rails and the top rail of the headboard and the foot board. I cut some extra wide planks to help support the crib mattress since I wasn’t using the springs that a crib would have. To attach the side rails to the headboard and foot board I used some brackets I got from the deck department at the hardware store. I put all the screws in the side rail but only used two screws for the headboard/foot board. 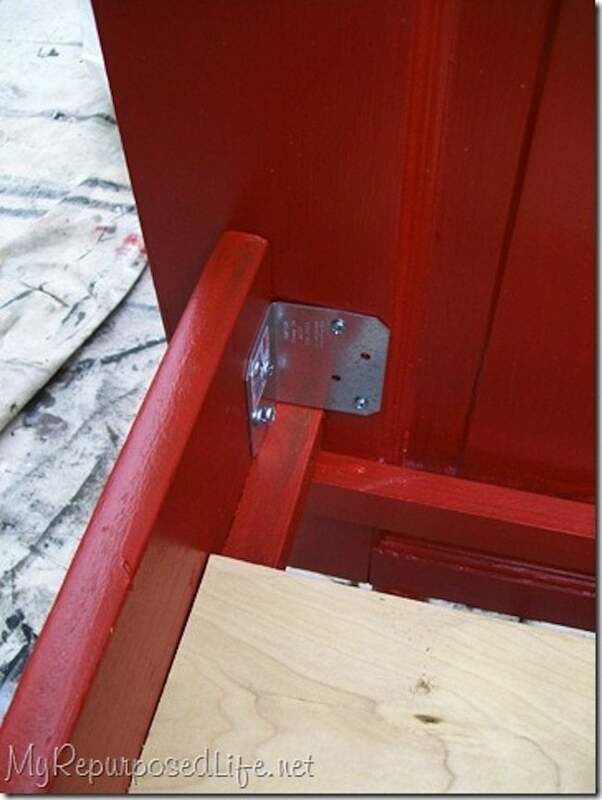 That way when someone buys this bed and takes it to their house, they can add the additional screws fro strength, and they will be secure. Voila! Here is the finished bed! Thanks, Gail! 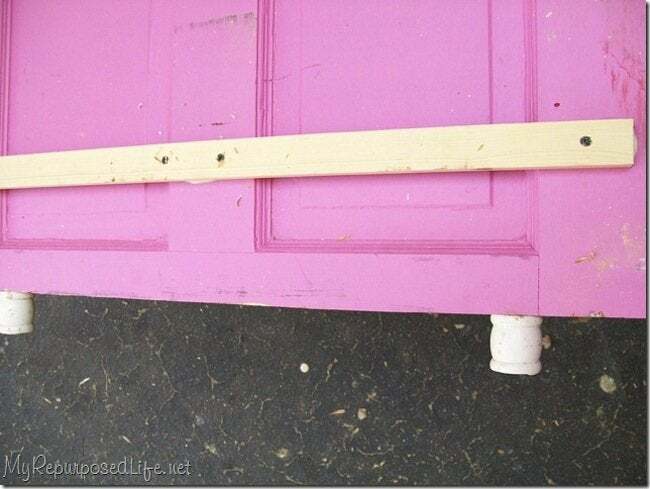 For even more clever DIY ideas, visit My Repurposed Life.